Crafting with feathers is so popular. 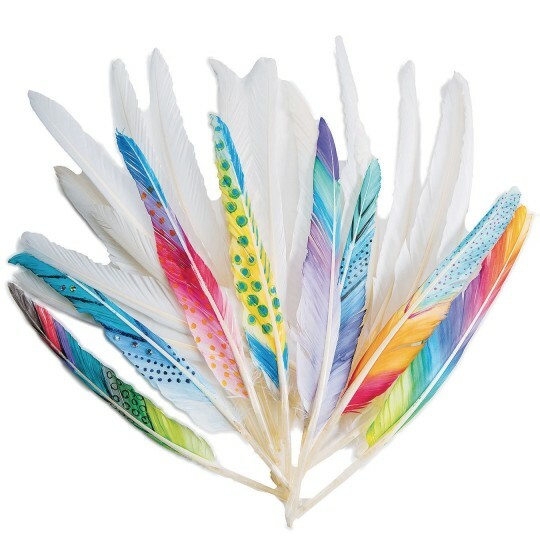 These white quill feathers can be decorated with markers, paints, glitter, and gems to make them unique and extra special. Feathers measure 10” – 12” long. 144 feathers per bag.